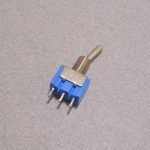 A Limit switch can be used in a variety of different applications; from an end stop on a CNC machine to an impact detector on a small roaming robot, they are very versatile. 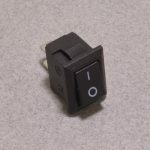 This limit switch works like any other momentary switch and provide both the normally open and normally closed contacts. 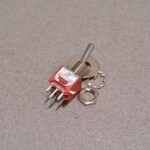 Limit switches differ in how the switch is actuated – limit switches typically have a metal lever on them. The metal lever acts like a spring and protects the physical switch from repeated impacts. 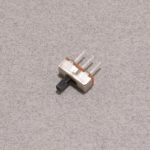 This specific version can handle up to 5A at 250VAC and has solder tab terminations. The switch and has two mounting holes making this very easy to fit to machinery, robots, or other projects! SKU: SWT-019. Category: Limit Switch. Tags: Light Packet, SPDT, Switch.